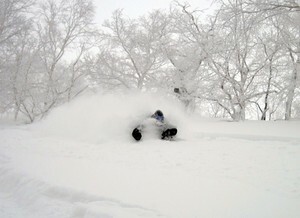 Is it snowing in Asahidake ?Tack! 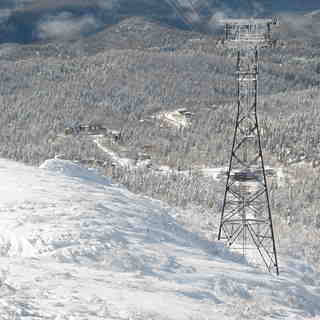 Asahidake, in Japan (located in the Hokkaido prefecture), has 6 ski lifts (6 chair lifts) that offers skiers an impressive 500 metres (1640 feet) of vertical descent. Asahidake has 4 pistes. 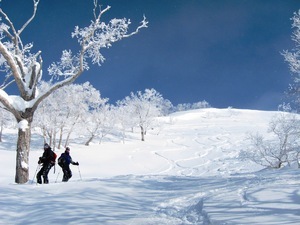 Asahidake is best suited for intermediate skiers and snowboarders but there is a also a lot of terrain for beginners and experts too. 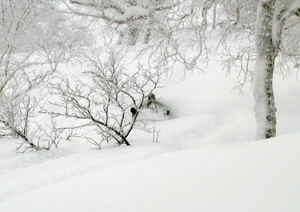 We have no information about the existence of any cross country ski trails at Asahidake. The nearest airport is at Tokyo and the nearest train station to Asahidake is at Asahikawa. For nordic skiers: Asahidake is worth a couple of days, if you don't mind skiing the same 8k or so several times. The cross-country ski trails are perfectly groomed for both skate, ski and classic ski. The snow is abundant and the season is long. I was there the last week of March 2013 and it snowed three of my six days there, with no above-freezing temps until literally my last afternoon, as I was catching the bus back to Asahikawa. The bus is easy both directions. I recommend the Daisetsuzan Shirakaba hostel; English-fluent hosts, loads of delicious breakfast/dinner food (and optional take-with-you lunch) for very cheap, Western and Japanese-style rooms both private and shared, and the trail groomer lives next door. Snowshoe hiking is also very nice, and you can rent them for cheap at the park visitor center, a short walk from the hostel. I'm not sure why the article says the nearest airport is Tokyo, Asahikawa, is an hour away and has an excellent international airport, and Sapporo's much larger and more modern airport is only a couple of hours further with easy train access between. I recommend a couple of days in Asahikawa enjoying their cross-country trails, then a couple of days at Asahidake, where the snow is deeper and the temperature is colder.